L.A. Clippers’ Donald Sterling could escape blacks by owning a hockey team. Really? She had to drag hockey into this mess. In a weekend column in The Los Angeles Times, Sandy Banks wrote that it’s time for Los Angeles Clippers’ Donald Sterling to give up ownership of his National Basketball Association team in the wake of recordings on which he purportedly makes racist comments about black people. Banks offers a novel solution for Sterling if he wants to stay in the sports business. 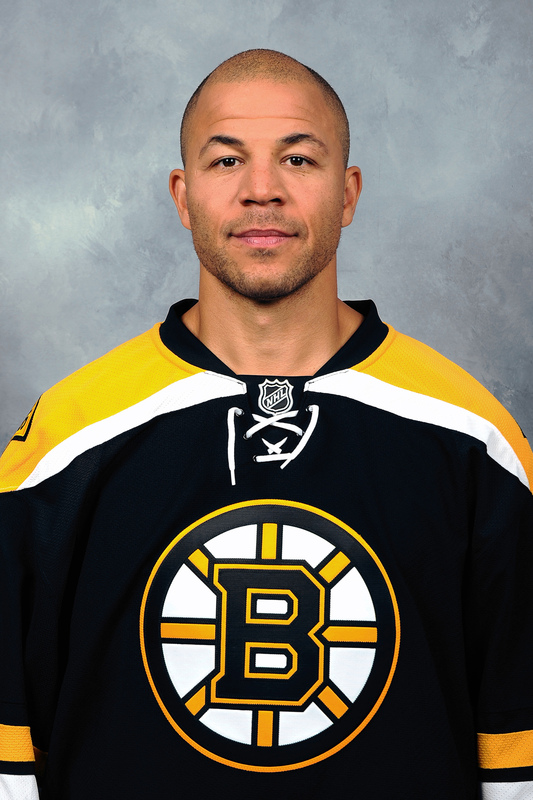 Boston’s Jarome Iginla, a superstar likely Hall of Fame-bound when he retires. Reading that line saddened me, angered me, and made me think that maybe I haven’t been doing my job with this blog. Her suggestion that Sterling “buy a hockey team” is a zinger, a real humdinger, perhaps designed to add a little levity to a serious problem. The only problem is that if Banks paid a little more attention to hockey maybe she’d know that the zinger has lost its zing – that hockey isn’t exclusively white anymore on the ice, in the stands, in the broadcast booth, or in the owner’s box. With one paragraph, Banks bought into a stereotype. Hockey has the hat trick – a feat in which one player scores three goals in a single game. Banks scored a double negative by suggesting that Sterling and his alleged racist ways could find a safe haven in the overwhelming whiteness of hockey. It’s a false image and its wrong. Blacks and other people of color have a rich hockey history and are a growing presence in today’s game. If Banks watched Sunday’s Anaheim Ducks–Dallas Stars game Sunday she would have seen Anaheim forward Devante Smith-Pelly, who is black, score two goals, including the tying goal in the closing seconds in the third period that sent the game to overtime. 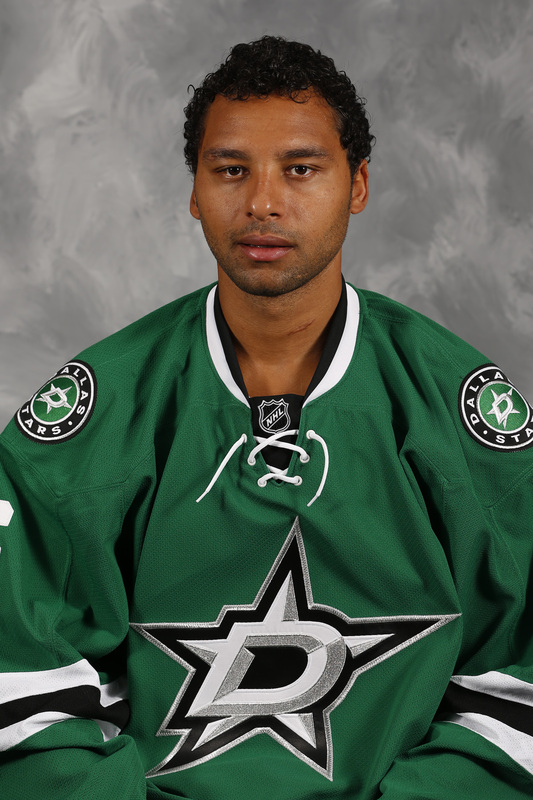 She would have seen Dallas defenseman Trevor Daley, who is also black, score two goals for the Stars. It was stellar game for Daley, even though the Stars lost the game 5-4 in overtime and were eliminated from the Stanley Cup Playoffs. As a teenager, Daley overcame his then-coach and general manager of his major junior hockey team – former National Hockey League goaltender John Vanbiesbrouck – calling him the N-word in the 2002-03 season to not only survive, but to thrive. The ‘Beezer was canned from his position with the Ontario Hockey League’s Sault Ste. Marie Greyhounds for using the slur and Daley has gone on to play more nearly 690 NHL games, all with Dallas. If she watched the entire Anaheim-Dallas series, she might have noticed forward Emerson Etem, an African-American born in Long Beach, California, playing for the Ducks. Flyers forward Wayne Simmonds (a former Los Angeles Kings player) and his teammate, goaltender Ray Emery; Tampa Bay Lightning forward J.T. Brown, who was brought up from the American Hockey League when Lightning sniper Steven Stamkos was injured but was so good that he remained with the team when Stamkos returned; Boston Bruins forward Jarome Iginla, who’ll likely be the third black player enshrined in the Hockey Hall of Fame whenever he retires; Chicago Blackhawks defenseman Johnny Oduya, who played for his native Sweden in the 2014 Winter Olympics; St. Louis Blues rugged forward Ryan Reaves; and Montreal Canadiens defenseman P.K. Subban, who was awarded the Norris Trophy as the NHL’s top defenseman last season. If she kept watching between periods she might have witnessed the new normal: former NHLers Kevin Weekes, Jamal Mayers, and Anson Carter and broadcaster David Amber – all black men – imparting hockey knowledge and analysis to viewers in the United States and Canada. If Banks attended a Kings or Ducks game, she might run into Oscar-winning actor Cuba Gooding, Jr., rap artist Snoop Dogg, or Isaiah Mustafa, the original Old Spice Guy who’s a hockey player and Kings season ticket holder. Say, wasn’t that director Spike Lee wearing a New York Rangers jersey at Game 5 against the Flyers Sunday in Madison Square Garden? If Banks glanced at the organization chart of the St. Louis Blues, she’d find David L. Steward, an African-American who’s chairman and co-founder of World Technology, Inc., is a part owner of the team. Her nephew still plays hockey and he still dreams. Lord knows hockey isn’t nirvana for players and fans of color, as Adam Proteau of The Hockey News chronicled in a recent column. But to suggest that a Donald Sterling would be at home in hockey isn’t a pithy zinger.